This highly unusual brooch features various sizes of margarita rivoli crystals set atop spikes of gold tone metal and topped with a prong set clear rhinestone. Other gold tone spikes are topped with clear prong set rhinestones giving this brooch a very atomic age look. 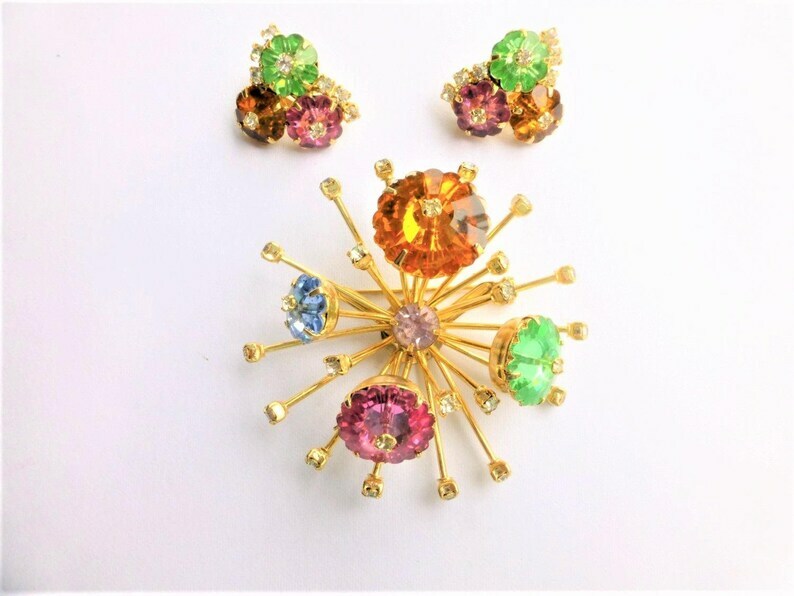 The matching clip back earrings have the same margarita rivoli stones but set flat to the clip earrings instead of on spikes. The brooch is highly dimensional and measures 2-1/2" across and stands about 1" high. The earrings are 1" tall. Quite the attention getter!